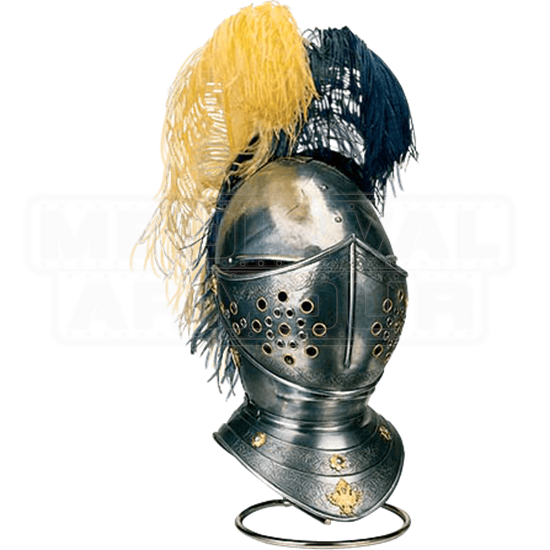 The Spanish Horse Helmet of the 16th century by Marto is a replica reproduction of helmets used by mounted knights during the reign of Charles V and Philip II, today a part of the collection of the Real Armeria (Royal Armory) in Madrid. The Spanish Horse Helmet is made of steel and characterized by a large beak shaped visor that covers the face entirely leaving naked only the two eye-slits. 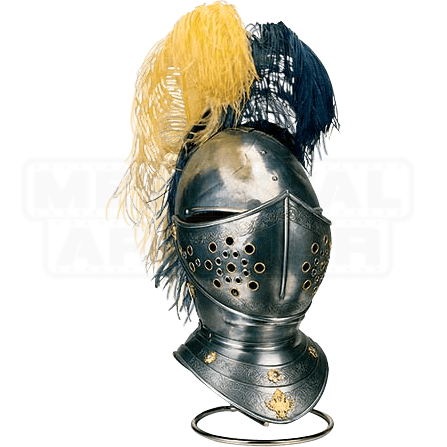 With a gorget depicting floral designs and a visor enriched by etchings, this helm is as much an artistic piece as it is representative of the helms used during the 16th century.